The Valentine Package!! 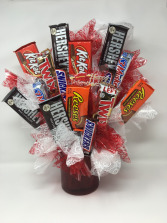 Deluxe Dozen long stem Roses, Gourmet Hand Dipped Chocolates, 1 Mylar balloon(18”), and an assorted Valentine plush. 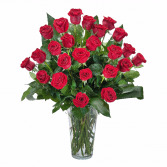 Roses available in other colors, upon request. 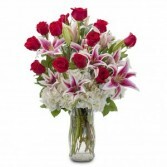 Show Stopping Stargazer Lilies accompanied by Roses and Hydrangea.